Emma Long is a large municipal park on the shores of Lake Austin, and it’s a great place to spend a day with the family. 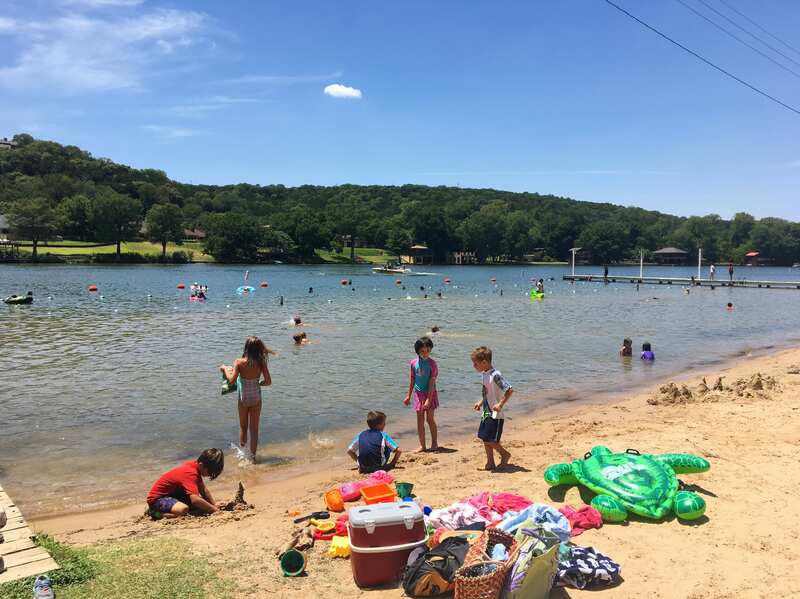 It’s open 7 days a week and includes a long stretch of lake lined with oak and juniper trees, offers boat access, plenty of room for swimming, a small sandy beach area for kids to play, lots of picnic tables and grills, bathrooms, and hiking trails, too. You’ll find lots of families with picnics and food for grilling with plans to spend the whole day in the shade of the big trees. Take note that on weekends, you can definitely expect it to be crowded. The park entrance fee is $5 on Monday – Thursday and $10 on Fridays – Sundays and holidays. NO CASH is accepted, so be sure to bring a credit card with you. Click here to read about our experience at Emma Long Metro Park. NLand Surf Park is unlike anything that Texas (or much of North America) has seen before! The manmade park creates an abundance of waves, including Steep Reef Waves, Waikiki-style Inside Waves, and friendly Bay Waves, ideal for any pro or beginner to get their surf on. The park also offers live music, a restaurant and juice bar, and yoga on the shore. 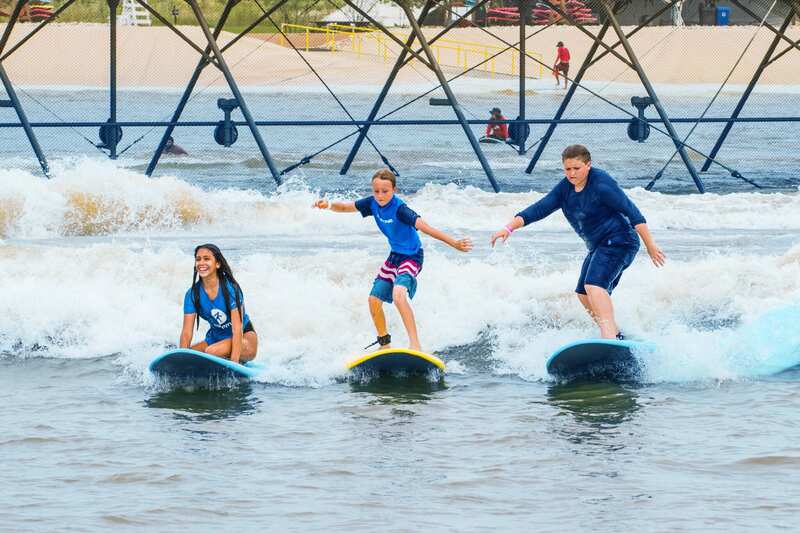 Take note that NLand Surf Park is hosting another year of Summer Surf Camp, where you can sign your kids up for a week of riding waves and enjoying plenty of active fun. Click here for info about surf lessons, camps, hours and more details. 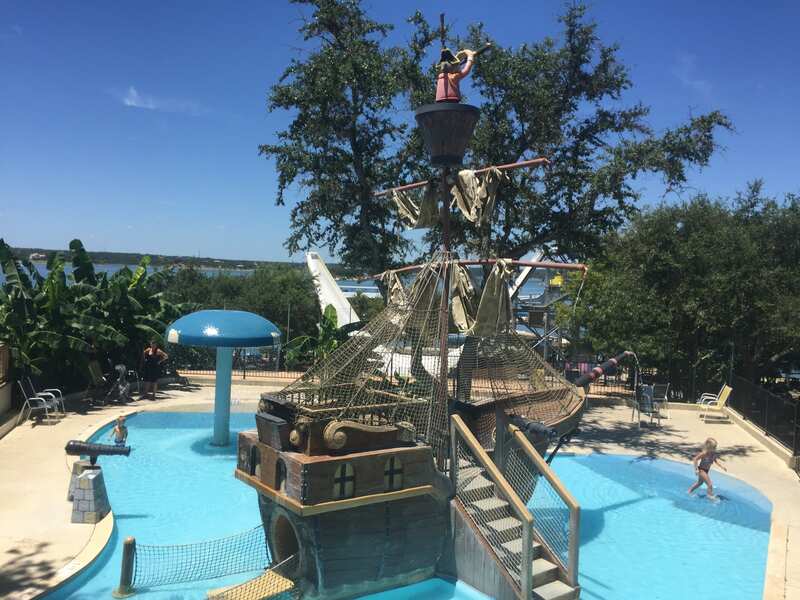 If you’re looking for a place to splash the day away within a really short drive from Central Austin, you can take a trip out to Volente Beach Water Park on Lake Travis. This water park is very small, making it extremely manageable with the kids. You’ll find a cute pirate ship play area for young children, a handful of water slides, an obstacle to cross in the pool, volleyball court, plenty of picnic space and a restaurant. Click here for rates and hours. Read about our visit to Volente Beach. Lake Pflugerville is about a 20-30 min. drive northeast of Austin. It was built to provide the citizens of Pflugerville with drinking water, but this 180-acre reservoir has become a popular family playground. The lake is open for fishing, swimming, jogging, canoes, kayaks and wind surfing. The Park at Lake Pflugerville includes a 3-mile trail, playground, boat launch, and beach area. You’ll find a small pebble beach and roped-off swimming area, a fun climbing structure, small playground and a picnic pavilion & bathroom along with families with beach tents & umbrellas, and kids with buckets for digging and playing. 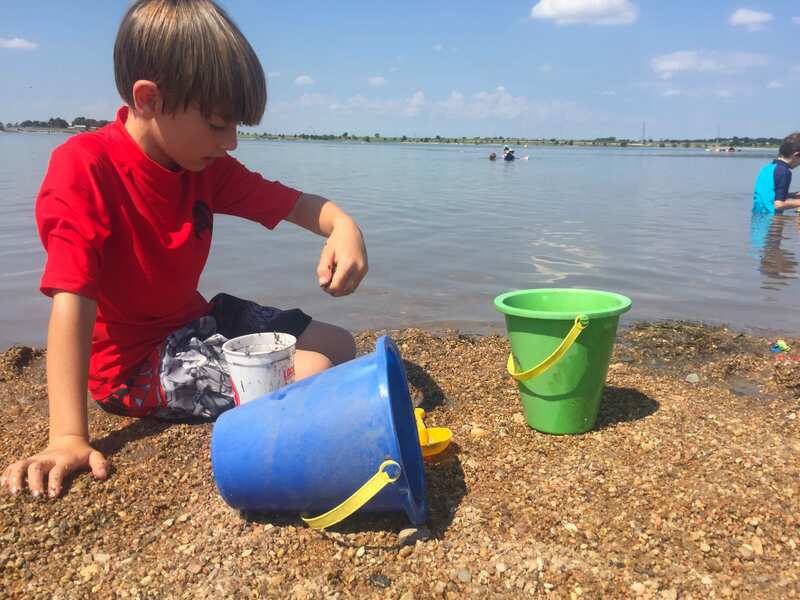 Read about our “beach day” experience at Lake Pflugerville. Pace Bend Park, about an hour from Austin proper, contains all of the amenities one desires on a beach trip. The park has a boat ramp, deep coves for fishing, geocaching spots, hiking and biking trails, a rope swing, and plenty of swimming space. A popular spot for camping, it’s ideal for bonfires and for stargazing. The cliff jumping at Pace Bend Park is on another level of fun and adventure (however, our Mom voices beg you to please be careful! ), and the views from the sprawling park are spectacular. 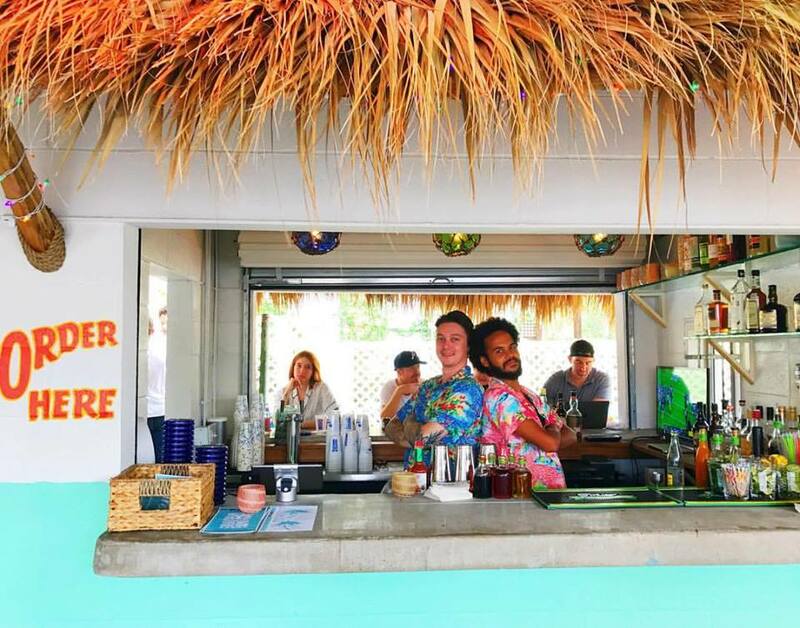 Located next to Deep Eddy Pool, this little spot satisfies all your tiki desires. The casual atmosphere provides the perfect place to catch up with friends and enjoy a meal. Choose from burgers, soft serve and tiki drinks. It’s a great place to pop into either before or after taking a dip in the cool waters of Deep Eddy. 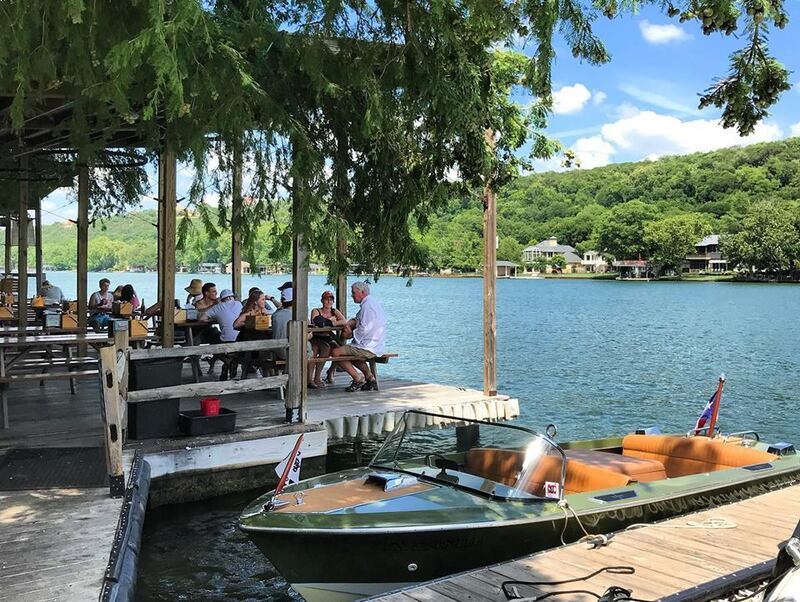 Lake Austin’s Ski Shores Cafe boasts the tagline, “boats, burgers, brews, and tunes,” and what more could an Austinite crave? At this dog and kid-friendly spot you may not only see pups, but fish, swans, and turtles as well! Ski Shores is an open-air venue with picnic tables, a bar, and a boat dock, weekend live music, a tiny arcade, playground, and even family movie nights with s’mores! Click here for the schedule of events. 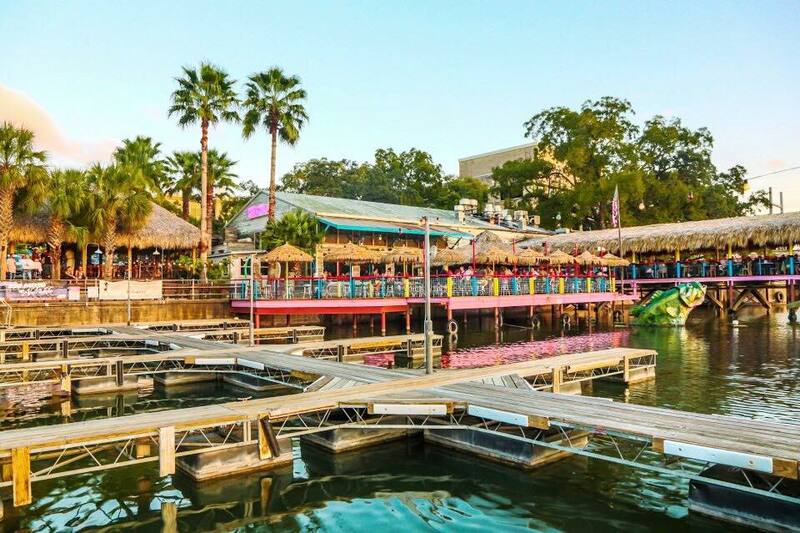 Hula Hut is another fun Lake Austin favorite featuring a menu of Tex-Mex with a Polynesian twist. Hula Hut offers outdoor seating, tiki torches, bamboo, umbrellas, dockside boat parking, and, a kids menu, of course. 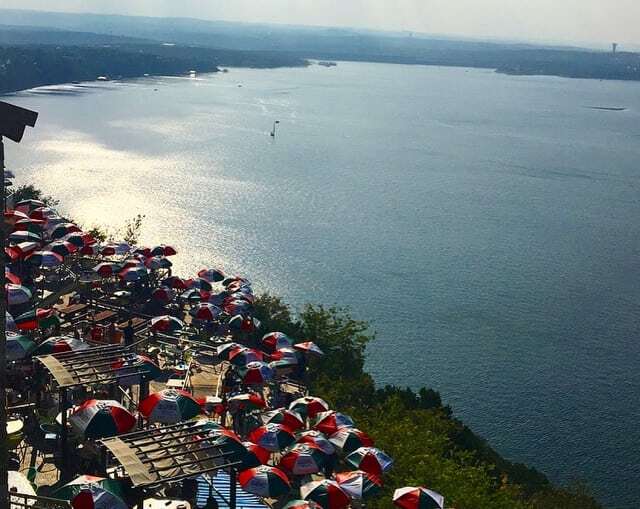 The Oasis on Lake Travis is a 30,000 square foot restaurant that provides astonishingly breathtaking views for that perfect Instagram opportunity or great place to “wow” out-of-towners. The venue is so large that it’s actually nicknamed The Sunset Capital of Texas, and for good reason. The sunset against the brightly colored umbrellas of The Oasis is nothing short of magnificent and not to be missed. Do you have any other recommendations for beach vibes in Austin?